I know, the current winter jdrama season is a bore with the exception of a few OK-jdramas. I’m really hoping for a couple summer jdramas to freshen things up a bit. Although I’m behind on posting for some of my current dramas, I just had to take a minute to mention the jdramas that I’ll probably check out. I’m waiting hopefully for some obsession-worthy jdramas. There weren’t many synopses that caught my eye, but you never know! 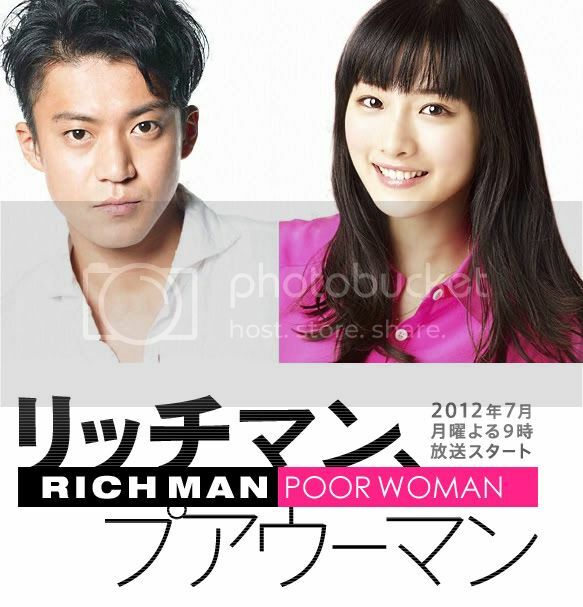 First up is this jdrama with a horrible title that completely turns me off: Rich Man, Poor Woman. WHY CAN’T IT BE THE REVERSE like, Rich Woman, Poor Man. STEREOTYPES. Anyway, even if this title isn’t that attractive, THINK AGAIN: IT HAS OGURI SHUN IN IT. JUST LOOK AT HIM. I CAN’T WAIT. It seems like there are a lot of summer jdramas that are manga adaptations. More than usual, I mean. Omoni Natemasu is one of them. I haven’t read the manga (although I might check it out..) so I’m basing my expectations on the synopsis. It sounds a bit cliched, because it has the usual “troubled beauty” conflict. You know, a beautiful woman who can’t find true love because everyone judges her by her appearance. Cliched, but something I would watch. So we’ll see how it turns out! Unfortunately I don’t have any promo posters for the rest of these dramas. >.< We’ll have to do without them! ANOTHER manga adaption! I think all I have to mention is that the OTP becomes ROOMMATES. Also apparently Sprout is a shoujo and school life manga = love triangle, high school fun, etc. 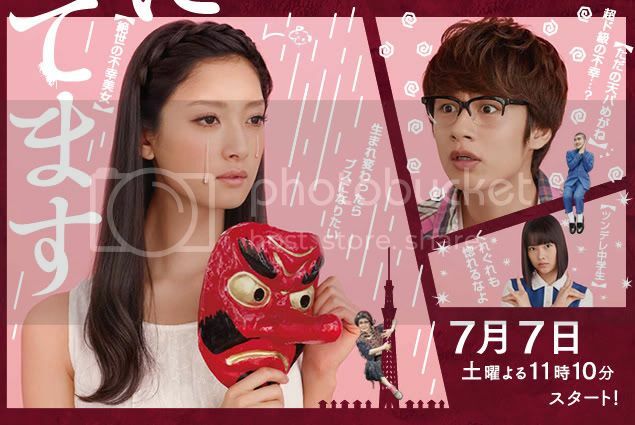 *Update* I just found out that the leads are Chinen Yuri and Morikawa Aoi. So, lastly we have a drama that could either turn out kinda cheesy and melodramatic (i.e. Love Game) or super awesome and dark. The main character gets the chance to see all the years of his life on DVD. Except there’s a catch..he views his life through the eyes of the people around him. That sounds both horrible and awesome at the same time. Horrible for the main character, who will inevitably realize the way people truly perceive him, but awesome because of all the themes the drama could explore. I’m hoping for a solid drama! Where do you watch the latest jdramas? Looking forward to Rich Man Poor Woman! YES I can’t wait for Oguri Shun!!! There’s just something about violent idols that really fascinates me…. lol. I wonder if there’s a lot of manga adaptions in the summer because of summer break? That might be the case if they come out around July or August, right? XD I wonder…. True, plus a lot of manga adaptations have a fresh, spunky feel to them. Perfect for summer!